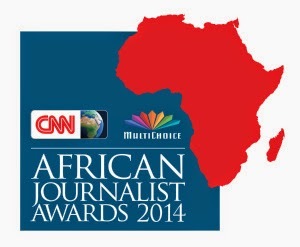 Finalists for the 2014 CNN MultiChoice African Journalist Awards have been announced. This year the competition received entries from 38 countries across the continent, including French and Portuguese speaking Africa, however only 28 finalists from 10 countries made it to the cut. The independent judging panel, chaired by Ferial Haffajee, Editor-in-Chief, City Press, South Africa includes: Debo Adesina, Editor-in-Chief, Guardian Newspapers, Nigeria; Betty Dindi, Managing Editor of QTV, Nation Media Group, Kenya; Jean-Paul Gérouard, Editor-in-Chief, France Télévisions ; Anton Harber, Caxton Professor of Journalism at the University of the Witwatersrand, South Africa; Joel Kibazo, Director of Communications, Africa Development Bank;Arlindo Lopes, Regional Regulatory GM, MultiChoice Angola; Amadou Mahtar Ba, Co-Founder and Executive Chairman, AllAfrica Global Media; Kim Norgaard, CNN Africa Bureau Chief; Aires Walter dos Santos, Account Executive, iSenta Comunicação & Imagem SA, Angola. The award ceremony will be held in Dar es Salaam, Tanzania in October.